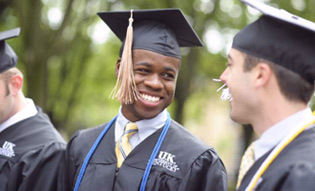 The College of Communication and Information is committed to preparing students for leading roles in an information-driven society, whether those students are fulfilling the new General Education Program requirement in Composition and Communication, exploring communication and information studies through an elective, or seeking an undergraduate major or minor, or graduate degree. Our programs prepare students to effectively communicate using multiple platforms and to critically engage the messages they encounter in the world around them. With a variety of courses and programs to choose from, students have the opportunity to enjoy highly diverse career destinations.